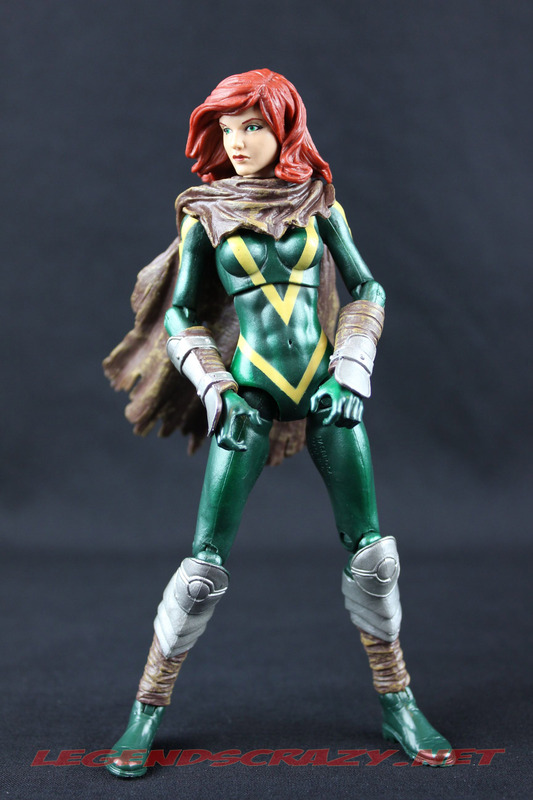 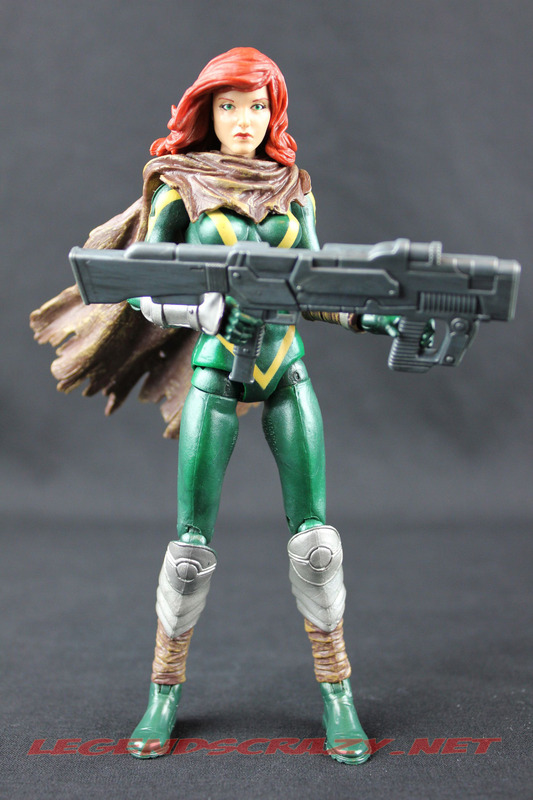 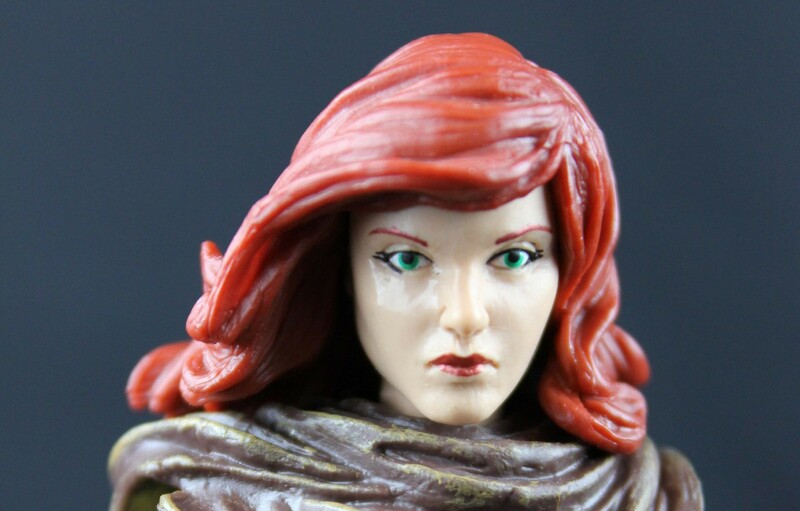 Let’s take a look today at Hasbro’s The Return of Marvel Legends Wave One Hope Summers action figure. 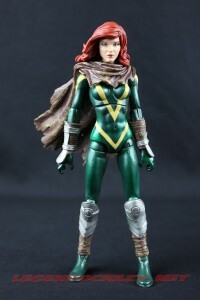 This figure has the honor of being the only female figure in this wave and the only X-Man as well. 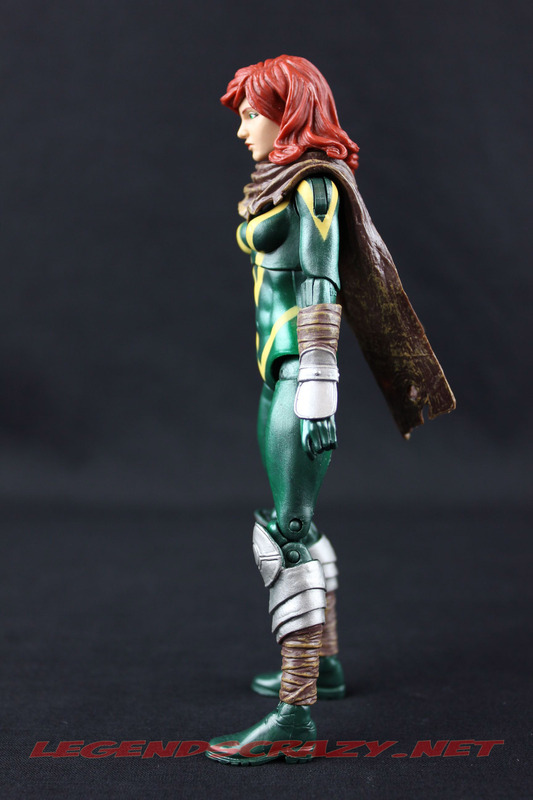 I had some problems with the legs warping with my figure, due to the way she was placed in the packaging. 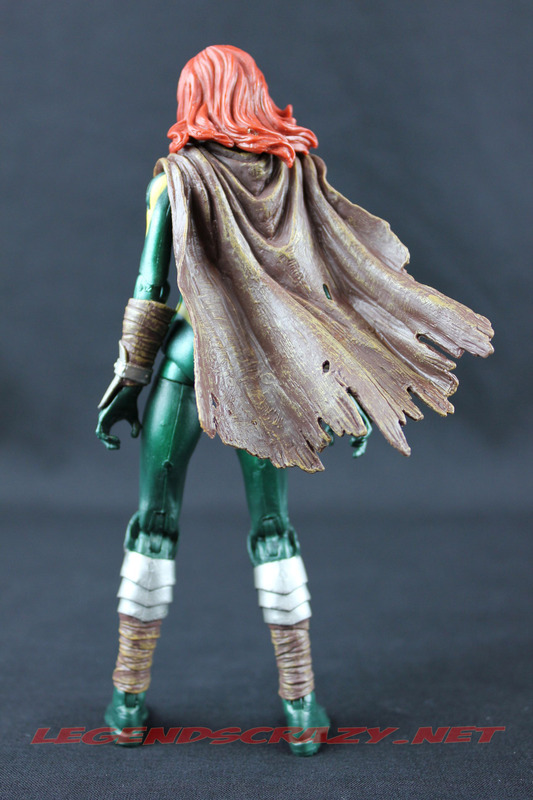 I had to break out the blow-drier, heat her up around the knees and cool her back down with cold water to straighten them out. I am really not a fan of action poses in the packaging. 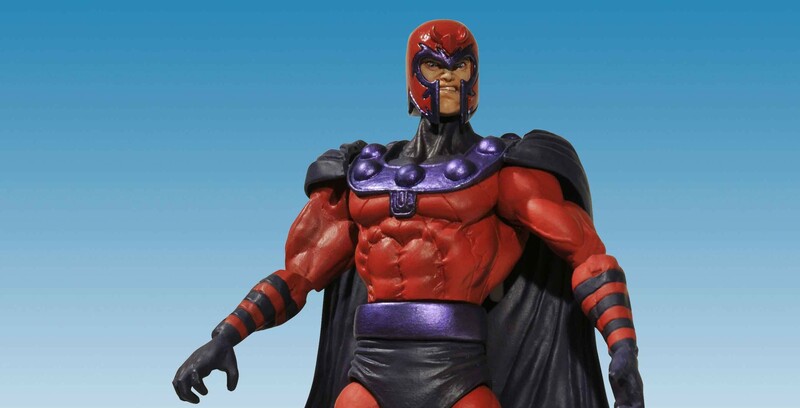 (I’m talking to you too Mattel.) I don’t like to have to “fix” them before I can start taking pictures. Hope is based on the Skrull Elektra body from the Two-Packs, which also later became Maria Hill, Sharon Carter and Black Widow. 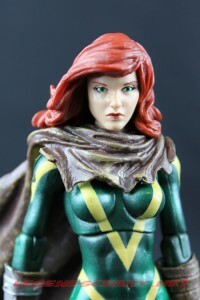 The painting of the eyes, lips and the stripes on her costume came out very well on my figure, but I’ve seen plenty in stores that did not fair as well. Make sure to check your figure out well before you buy it. 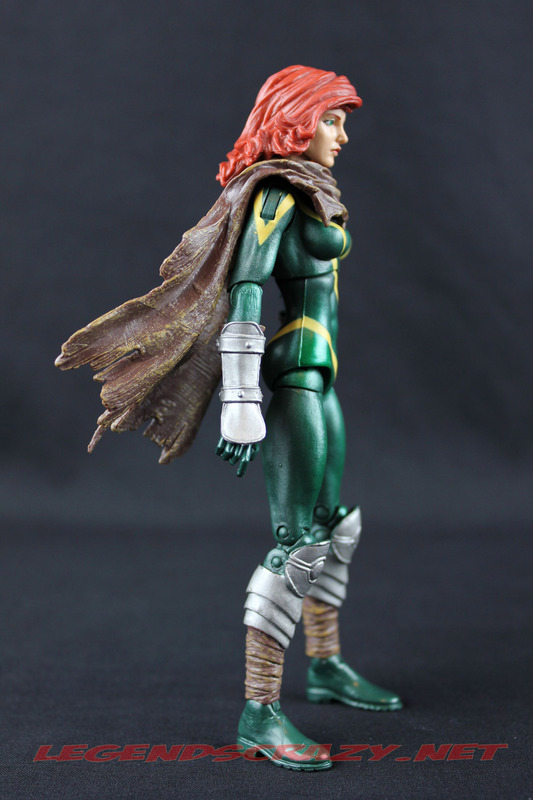 The head movement is very limited by the hair and the cape. 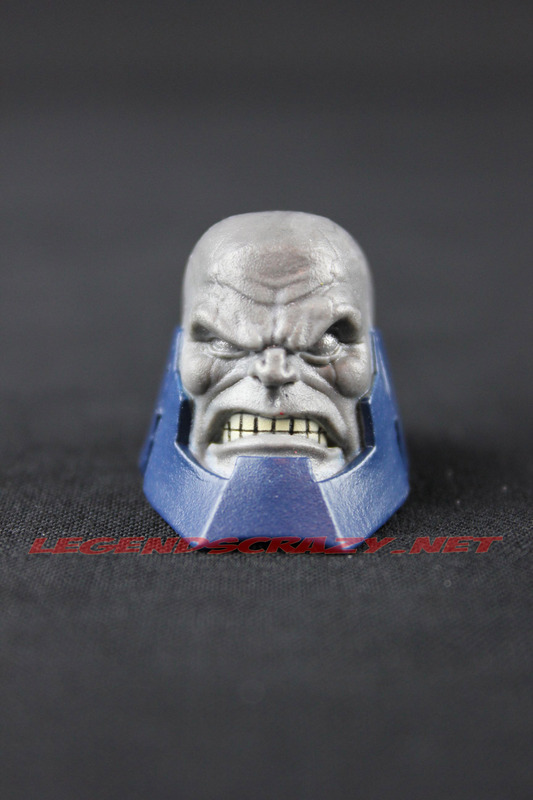 You can get a pretty good turn of the head to the right, but not so much to the left. 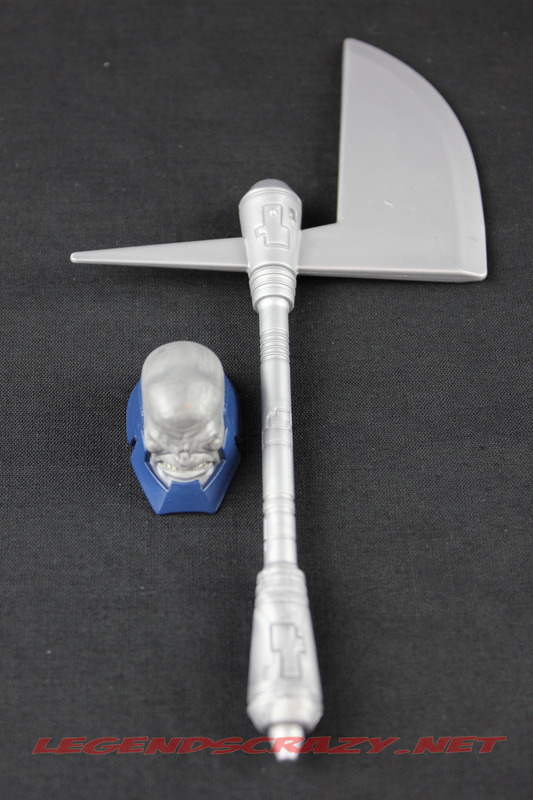 The cape is made of a harder plastic than was used for Ghost Rider, but it doesn’t really affect any other movement except for the head. 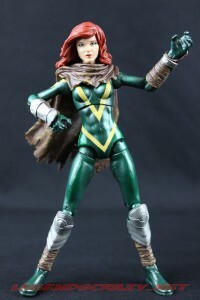 The wrist movement is also limited by her gauntlets as well. 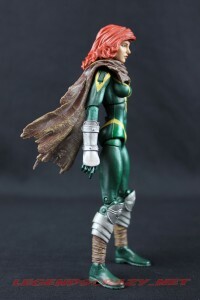 Hope has a ball-jointed neck, single-hinged shoulders, single-hinged elbows, hinged wrists, mid-torso swivel, single-hinged hips with the upper thigh cut, double-pinned knees, and swivel hinged ankles. 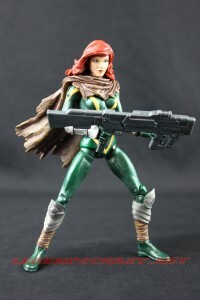 I would really like to see some other female bucks developed in the next two series. Apparently, Madame Masque and Madame Hydra will also be using this same body again in wave two. We will need some more variety in size and stature. Hope comes with a futuristic looking gun as an accessory. 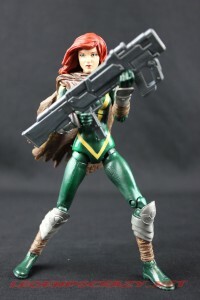 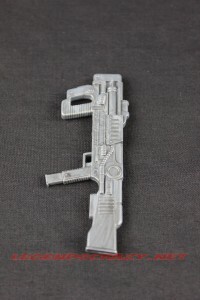 This is the same gun that was included with the two-pack Forge figure. The gun has no paint applications, maybe a simple black wash would have helped to bring out some of the details. The Terrax Build-a-Figure parts included are the head and the axe. 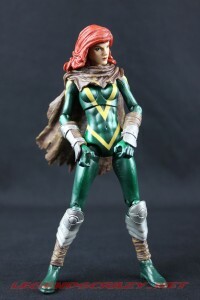 In all, I think she’s a pretty nice looking figure and I’m glad they included her in the wave. Iron Man is up next for tomorrow and remember Enchanted Toy Chest is still taking pre-orders for Wave Two of The Return of Marvel Legends.